Here's where my tip of the day comes in... down inserts can be expensive. Recently I was just about to head to the local fabric store that sells them and plunk down almost $20 for a 24x24 down insert that I needed. Just in the nick of time, I ducked into Homegoods and happened to spot this beauty on the clearance rack. Well, not so much a beauty to me, it's not quite my style. But, it was a perfectly plump 24" down pillow marked down to $7.00! I couldn't check out fast enough. Even though this cover was sewn closed rather than having a zipper, I just carefully cut it off to free my new insert from inside. It slipped right into my green cover that I needed it for and I smiled at my $13 savings! So, never forget to check the clearance rack, and don't judge a pillow by it's cover. Remember, it's what's on the inside that counts! Ikea is really the best place that I've found for down inserts, and I like to keep a few on hand. However, their sizes are usually limited to 12x20, 20x20, and 26x26, so if I'm looking for something in between I have to get resourceful. FYI, most of my pillows that I make are 20", but I use a 22" form so they are plump. I made the green covers about 22" so I've needed 24" inserts for them. Always buy a slightly larger insert than the size of your pillow if you want it to fluff up nice and full. That just reminded me to share with you one more thing- if you have Euro pillows (26x26) for your bed that don't seem to work quite right, try a 28x28" down insert in them. I found that size locally at Tuesday Morning and they have been the best thing for my bed shams! The 26" inserts never seemed to fill the sham enough to make it stand up right, especially when I used a sham with any kind of flange border. They need to be stuffed full and tight to look pretty. Are you a down pillow convert, and if so what's your best source? Such a great idea! I never thought of doing that. You are right, those down inserts can get expensive...off to Homegoods! I only use down too and love how they make the pillows look so full and fluffy. I find some at Goodwill often times. Love your beautiful collection of pillows. Down inserts are $5 or $6 at Ikea. That's where I get all of mine. Down inserts instantly make me want to nap, which is near impossible with 3 kiddos 5 & under..lol. 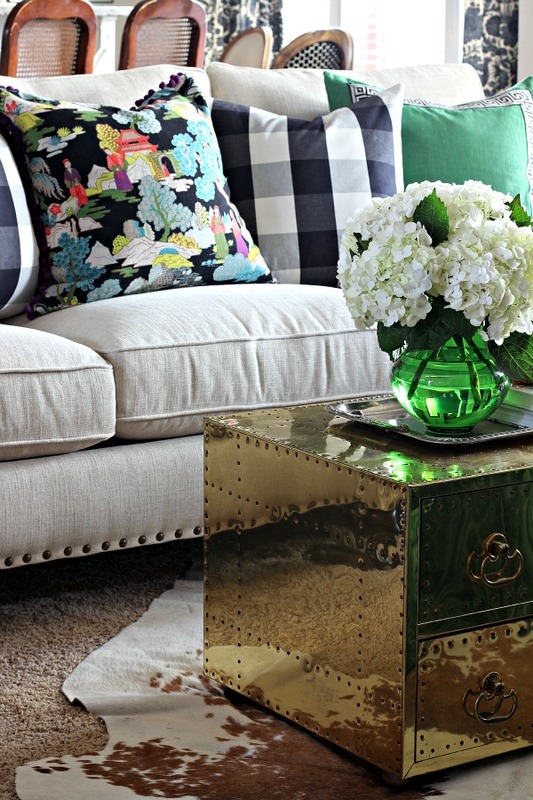 This is such a neat post and a good reminder to look beyond pattern & paint! I too have found a lot of ours at Tuesday Morning! Need to pick up a few next time I am at Ikea as well. I always find mine at Goodwill for $2.99 to $3.99 - I know the other shoppers think I'm nuts as I walk the pillow wall poking all the pillows to see if they are down or poly. Bring them home, wash them in nice hot water and dry in a hot dryer - good as new and oh so inexpensive. Great info, Jennifer. Definitely pinning for future reference. I too poke pillows at Goodwill until I find down inserts. Once home I remove the pillow cover and put the down insert in a pillowcase and add to my load of wash. Down inserts wash very well and dry nicely in the dryer. I will let the down sit for a day just to make sure it is 100% dry before putting in new pillow cover. A!SO, put your pretty down pillows in the dryer for about 15 min with a damp towel, it removes dust and fluffs pillow beautifully. Ooooh, such a great tip about fluffing up and removing dust! I need to do that! Brilliant! 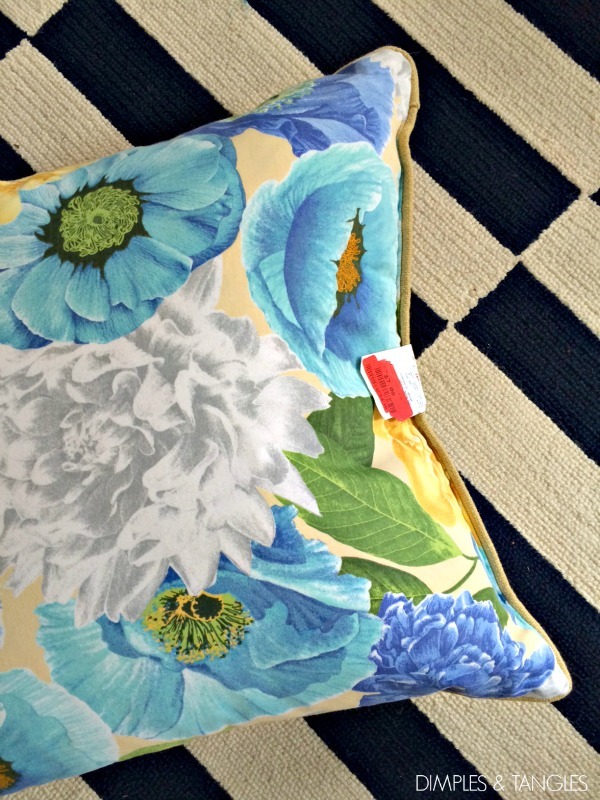 Now I will be looking for marked down pillows to gain inserts! 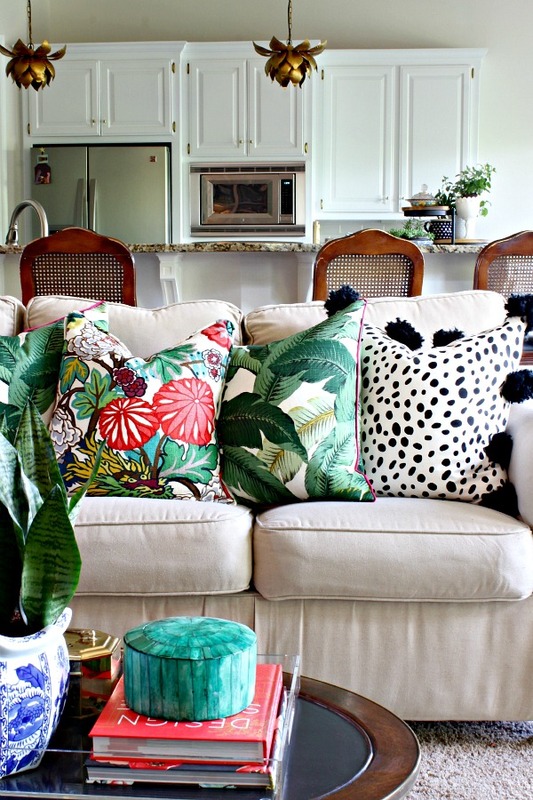 Can you tell me the name of the black asian inspired toile-esque fabric on your pillows? Great idea! FYI, Vu's fabrics at 2nd and Kelly seeks nice down inserts very cheap! Hi Jennifer! Such amazing ideas!! 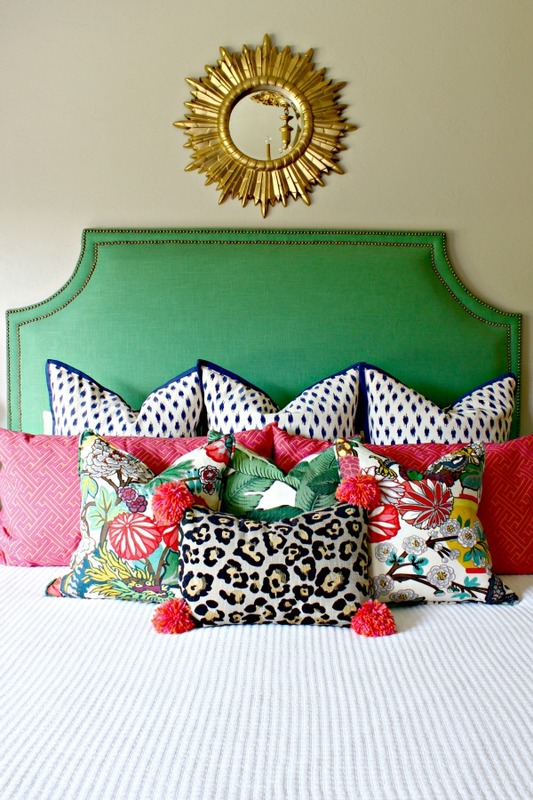 May I know where is the green headboard from? I have been looking for something very similar :).